In YAK EXPEDICIONES trips you will live an authentic cultural inmersion with the local people. Check the article "Seakayaking Patagonia" in the CANOE FOCUS Magazine of December 2007 (the official British Canoe Union Magazine from UK). Check in the CANOE and KAYAK.COM online Magazine from USA (24 Jan 2008) the article "Kayaking in Patagonia" , our seakayak Expedition in the Northern Patagonia Fjords - Pumalin Park.
" For me, the natural look of the Pumalín Park and Lakes Region was the biggest draw, but it was the cultural elements - eating home-cooked food and hearing about personal life stories (in spanish) from the host - which were absolutely the most memorable! Come paddle with Yak Expediciones if you want both an exciting sea kayaking experience and a taste of the local culture at the gateway to Patagonia! " Cutting deep into the granite peaks of the coastal Andes, the Northern Patagonia Fjords provide the most spectacular sea kayaking experience as a combination Hot springs, sea lion and dolphin colonies, lush temperate rainforest and hundreds of cascading waterfalls . For those who enjoy in small groups the silence and tranquility, a trip to connect with nature seriously with an authentic cultural experience. 2 DAYS: Exploring between Volcanoes New Program !! 2 DAYS -Seakayaking relaxed the First Fiord in Patagonia New Program !! 2 DAYS: Discover COCHAMO by land and sea New Program !! 3 Days , Sea kayak trip Chile ANDEAN LAKE KAYAK CROSSING New Program !! 3 Days , Horseriding & Trekking PUELO River Valley New Program !! Level: Suitable for all levels including beginners. Level: Suitable for all levels including active beginners. Canoe Trip to the Hidden lake in Puerto Varas. 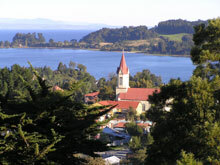 Paddle Puerto Varas Bay / Explore the Hidden Lagoon. 3 days paddling and camping navigating from Petrohue till Peulla, almost the border with Argentina, all this in the emerald waters of Todos Los Santos Lake surrounded by the Osorno and Puntiagudo volcanoes and Tronador Mount. Level: Active Travelers , including beginners. 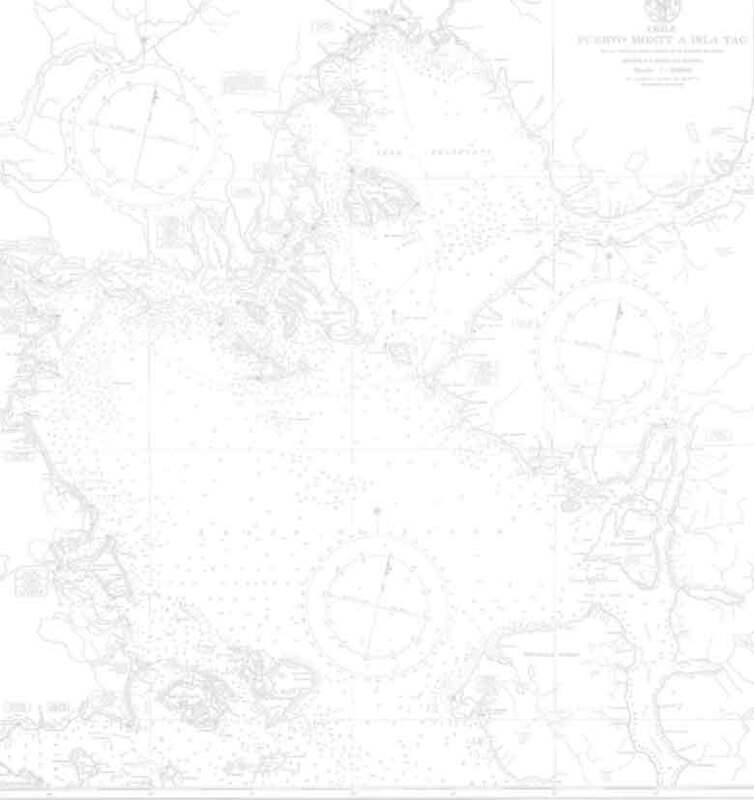 Level: Suitable for all levels , active and adventurous travellers , including beginners. Level: Suitable for all levels , active travellers , including beginners. 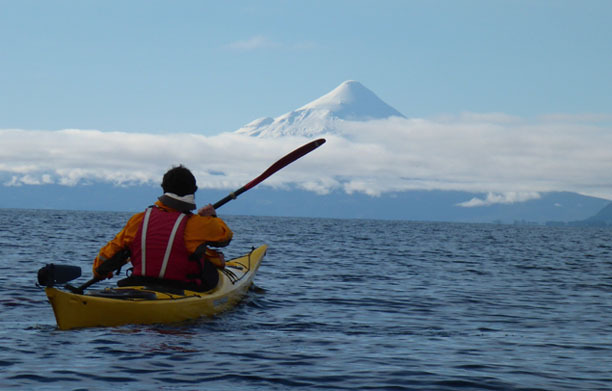 6 days paddling, in the border with Argentina, the emerald waters of Todos Los Santos Lake surrounded by 3 volcanoes (Osorno, Puntiagudo , Calbuco and Tronador Mount). Level: Suitable for active travelers. Floating Maullin River with Rafts. Floating Petrohue River with Rafts. Next Trips ...check " CALENDAR "
2 DAYS: CHILOE seakayak wetlands of Chepu river, Trekking & Penguins Colony and Churches New Program !! 3 Days ANDEAN LAKE KAYAK CROSSING New Program !! Floating in Rafts Maullin and Petrohue River. River Kayaks, Sea Kayaks, tents, paddles , drysuits, paddling jackets, accessories. Visit our Rent / Buy / Sell section here. * We are very proud as a small company to reprsent the Lakes Region in the 2015 ATTA Summit with our Pre Summit Adventure seakayak program to the Northern Patagonia Fjords of Pumalin Park. * We are ver proud to be chosen by our clients to belong to the HALL OF FAME of TripAdvisor. Paddle between steep mountains covered with dense forest, feeling the wind , and probably the water too in our faces... till a 30 meters (90 feet) waterfall that falls directly into the lake (active beginners). SOON , hiking trips in Tagua Tagua Park. YAK EXPEDICIONES assist the Seminar " Good Sustainable Practices in Tourism" in Puerto Varas and realized that since we start working we were following the aspects they promote. 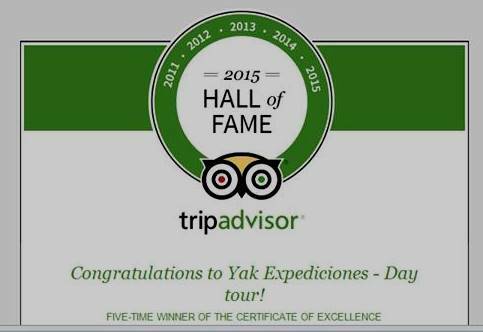 YAK EXPEDICIONES is a REGISTERED company according to Sernatur (the gubernamental chilean tourism office). Osorno Volcanoe , trips to the summit, are closed for this season. Not authorized to use the text and photos from this site without permission. Exclusive property of YAK EXPEDICIONES-AUTHENTIC EXPERIENCES ®. All Rights Reserved.